Today, I’m gonna share something I’ve been doing in my own business for over a year now and as a result… It’s bringing me in additional traffic and sales… All with no additional effort whatsoever. Now what’s really cool about this is that it’s completely automated. 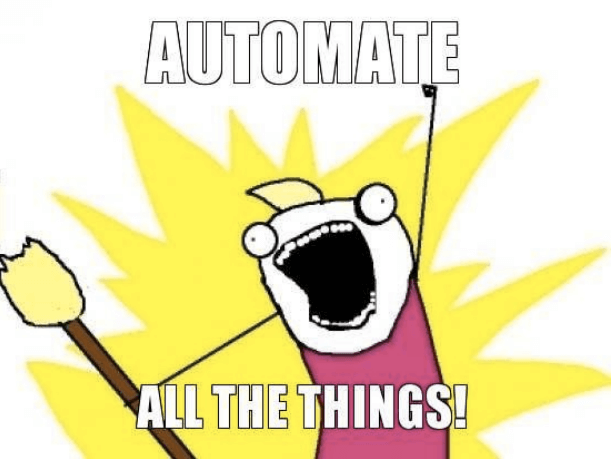 It takes like, seconds to setup and after that… It just kinda runs on complete auto-pilot. Also, it’s totally free so if you’re peppered for cash… You can implement this regardless. Anyhow, here’s the video. Let me know what you think down below… Enjoy! Now if you found that helpful… Then you’re gonna love this! …Then do yourself a massive favour and check out my video where I show you a real way of making $1000+ a day of true, set & forget, passive income using super easy to implement methods ANYONE can use. If this floats your boat, then you can check out my video right here! This is great. Thank you James. I will put this into action and see how it goes. It’s a great supplement to mix in with your marketing to bolster your traffic and sales with no additional effort whatsoever. I didn’t know you could actually do this. I’m going to connect my Youtube account up with my FB and Twitter acounts right now and see how it goes. Thanks James and keep those videos coming! Yeah you can hook everything up so when you post at one site… It posts to all your other sites. To be honest, it’s nothing new as these sites have been doing it for some time now but it really helps to get you additional traffic and sales with no extra effort. Thanks for stopping by and commenting btw… Really appreciate it. Cool stuff as always, mate, so thanks for that. I am trying to build several small(ish!) revenue streams and want to experiment with Amazon and also AdSense. I have bought courses on them and implemented stuff but don’t get good results. I just wondered if you did any of these things? Of course it would be great if you did a video on it here, but knowing the quality of your work, if you DO do this stuff I would be more than interested if you did a paid course. Not to butter you up or anything (!) but I trust what you tell us cos I know it works and I can’t say that about a lot of Internet Marketers. Eh up, Graeme… Hope you’re doing ok, buddy. Owt like that is very tricky as you’re building your income streams of very rocky foundations i.e. Google Search. And trust me; I know – I use to do that all the time but it’s constantly getting harder and harder and you’re at the mercy of the Google overlords over at Google HQ. But as it goes, I have found something and it’s right up your street – as in – it’s a breeze to implement and it runs itself once it’s up & running. Hi James, I know you made a video on making money with youtube using other peoples videos. Can we get paid by adsense using videos of famous musicians already on youtube? And is downloading legal? Q. Can we get paid by adsense using videos of famous musicians already on youtube? A. Technically… Yes but it’s against Youtube’s terms of service and if you get caught, your video will get flagged and taken down and/or your Youtube and Adsense account banned as well. So would I recommend monetising famous musicians videos/songs? If you value your Adsense and your Youtube account, no. Q. And is downloading legal? A. Honestly? I haven’t got a clue but everyone does it so Youtube kind of accepts it. I think you’re ok downloading it for your own personal use but reuploading it and monetising it is a big no, no in Youtube’s eyes. However – saying that – I have uploaded other people’s videos but I’ve never monetized ’em with Adsense and I’ve made quite a bit (and still do in fact) money from ’em. I’ll be pending for new videos because I’m really interested on e-mail marketing and any other type of internet marketing. That’s great news because I’ve just finished a new video and it’s all about email marketing! P.S. If you are really interested in email marketing, then I would recommend to check out my course… The evergreen Wealth Formula as I cover a complete walk through on email marketing on how to make a $1000+ a day online of passive income. I receive your mails and enjoy your videos. You say that you have uploaded other peoples videos; do you use them to paste affiliate links? If so, will youtube allow it? Yes, I’ve uploaded other people’s videos and put my affiliate in the description box. This is known as a “blackhat” method – meaning it beak’s Youtube rules but the worse case scenario is they flag your video and take it down. So what I would recommend to do is to setup an account especially for this. Although this method STILL makes me money till this day. I know longer do it as I implement the methods what I teach within the Evergreen Wealth Formula course as it’s way, way more profitable, plus you only need to upload one video instead of hundreds.